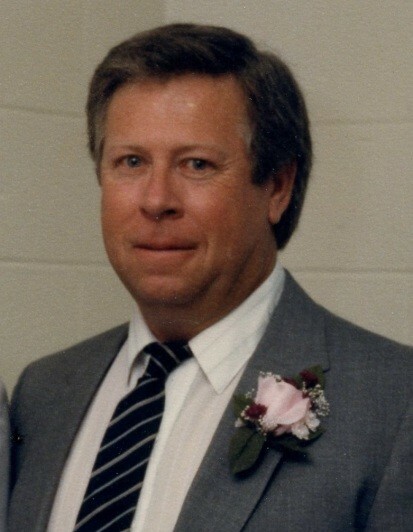 Robert Edward "Bob" Rankin, Jr. died Sunday, December 2, 2018 in Purcell, Oklahoma at the age of 73 years 2 months 28 days. Memorial Services are scheduled for 11:00 AM, Saturday, December 8, 2018 at Wadley’s Funeral Chapel in Purcell, Oklahoma. Service are entrusted to the care of Wadley’s Funeral Service, Inc.
Bob was born September 5, 1945 in Oklahoma City, Oklahoma to Robert Sr. and Jean Evelyn (McKeown) Rankin. Jean was a High School Math Teacher and Robert Sr. worked in the Oil Field. Bob was raised in Oklahoma City until the age of 9, when the family relocated due to Robert’s work, to Sidney, Nebraska. He graduated from school in Sidney in 1963. On July 31, 1965, Bob married Marie Hutzenbiler in Dalton, Nebraska. In his younger years, Bob worked doing directional drilling. He progressed to manufacturing drilling equipment, and after his son graduated, they designed and manufactured downhole drilling motors. In 1983, Bob became self employed and in 1994, he and his family founded Adtech, Inc. in Wayne, Oklahoma, specializing in directional technology. Bob was a avid fisherman, and enjoyed time on his bass boat. He was a hard worker, believing business was not only a career but a hobby. Bob enjoyed following OU Football and OKC Thunder Basketball. He loved spending time with his family, and was generous to a fault. Bob is preceded in death by his parents, Robert Sr. and Jean Rankin; his sister, Judy Kuehn; and brothers in law, Mike Biner and Bob Kuehn. Survivors include his wife of 53 years, Marie Rankin of the home; son, Bobby Rankin and wife, Karla of Purcell; daughter, Jean Petroff and husband, Chris of Norman; grandchildren, Riley Rankin, Maggie Petroff, Raymond Petroff, Sam Petroff, all of Norman; siblings, Nancy Brown and husband, Stuart of Ft. Worth, Texas, David Rankin and spouse, Sherri of Ponca City, Oklahoma, Chris Gleason and husband, John of Leavenworth, Kansas, Debi Biner of Houston, Texas and many other relatives and friends.